Hi everyone! A few days ago, I shared a sneak peek of my challenge card for the Make it Crafty CAS Challenge #2 and today I’m back to outline the details of my card. I made a background using a Mister Huey’s Mask called "Circle Graph" from Studio Calico. At first, I printed out my digi stamp 2 times: on my card base and onto a regular printer paper. I then cut out the dolphin from the regular printer paper to create a mask. I went ahead and colored the dolphin with Copics. Once it was done, I masked the colored dolphin with the other one I cut out before. I used removable adhesive tape to fix it. At last, I placed my "Circle Graph" stencil on the masked dolphin and I sponged inks over it using a blending tool. To finish off my card, I added a white heat embossed sentiment from Kaisercraft, a few black splatters and 3 sequins. If you want to share your cards using the masking technique, join our CAS challenge on the Make it Crafty blog! You can enter by the end of the month. The requirements are to create a new Clean & Simple project using at least one Make it Crafty product and follow the theme! 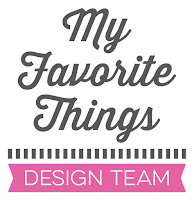 You could win one of the new Make it Crafty rubber stamp of your choice! I love the dolphin. It's so beautiful. Thank you for sharing this technique. Du und deine Regenbogen bezaubern mich jedes Mal! Sehr schön, liebe Francine! Auch wie du den Delfin coloriert hast, ist einfach TOP! THAT BACKGROUND IS THE COOLEST!! 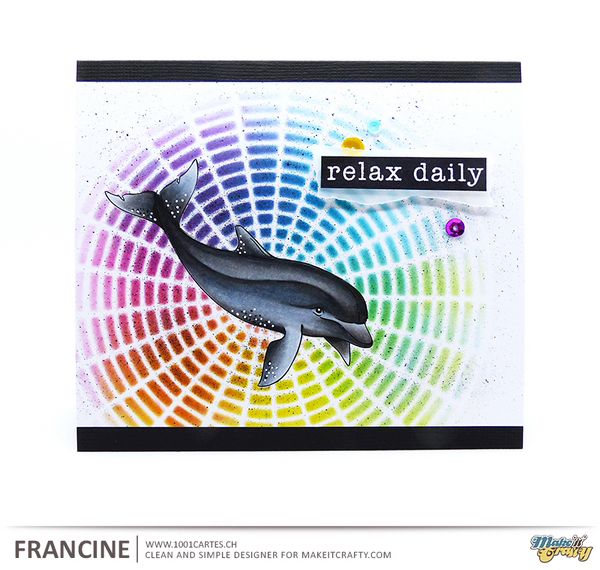 Love it and the bright, vivid colors you used - awesome backdrop for your perfectly colored dolphin!! What an incredible card - you are the best!! !